Google has announced in a YouTube blog post that AdWords for Video is now available to all users. Following a successful beta trial that began in September 2011, AdWords for Video will now be integrated into the main dashboard for all users. Video campaigns will use the same interface and model as pay-per-click search and display ads; advertisers can manage keywords, target demographics, bids and budgets, as well as track their success with reporting on engagement and click through rates. As one of three videos that users can choose to watch as a pre-roll before a longer YouTube video. Google is touting AdWords for Video as an ideal opportunity for small businesses to use video advertising, and is therefore offering some incentives to get started. Nine successful US video advertisers have been named YouTube Ambassadors, and will be sharing their experience with newcomers through tutorial videos and Google+ hangouts. The YouTube Advertiser Playbook will provide support and tips, while any business signing up with AdWords for the first time will now receive $75 (£47) of free credit to spend as they please. Natalie Booth, assistant marketing manager at theEword, said: "Despite the emphasis on small businesses and newcomers, AdWords for Video will be extremely effective for experienced advertisers. 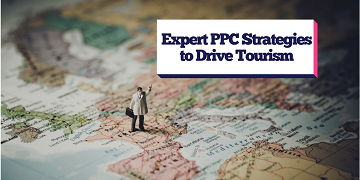 Campaigns can be managed and optimised in the same way as PPC, so many marketers could implement similar strategies and reach a whole new market. Of course, the success of a campaign will be dependent on the quality of the video ads, so creativity and production budgets will also play a part."